In 1985, a house fire, just outside Whitehorse city limits, was the catalyst for the formation of numerous rural volunteer fire departments in the Yukon. The fire was just feet outside the city limits and city firefighters were not legally permitted to cross that boundary. A movement began to create fire protection in the rural areas outside of Yukon’s municipalities. Golden Horn Volunteer Fire Department was the first in 1985. In 1992, a survey was done in the newly formed Hamlet of Mount Lorne. This was followed by a petition in 1993, which was presented to Yukon Government. 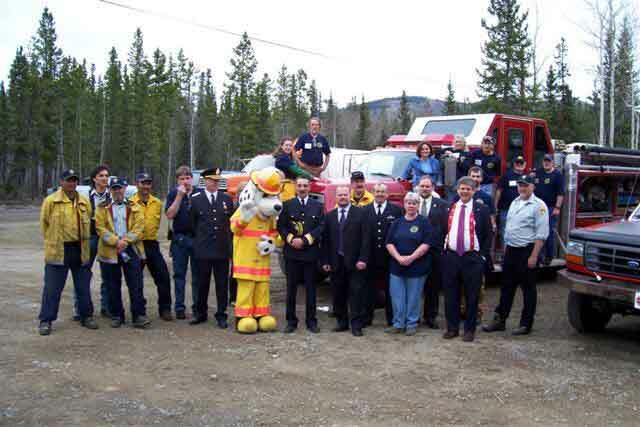 In late 1994, the Yukon Government signed an agreement with the newly formed Mount Lorne Volunteer Fire Department Society to supply the land, building and equipment for a functioning volunteer fire department. The community was responsible for finding volunteers. 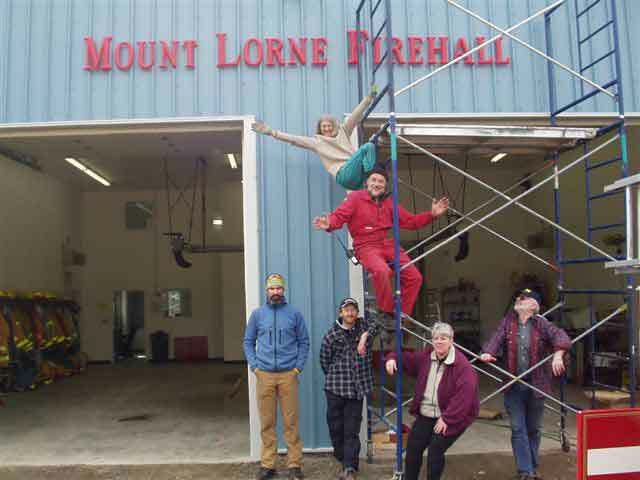 In 1995, a small group of dedicated volunteers began training at the nearby Golden Horn Volunteer Fire Department. The MLVFD firehall was officially opened on January 12th, 1996. We had a brand spanking new building, spotless turn-out gear and an old 1977 Ford Cabover with an 800-gallon tank and a 125 HP pump. Fire Marshal’s Office has since upgraded us a few times. As of January 2018, we have a 2008 pumper, a 2016 tender and a Ford 250 4×4 quick response truck. MLVFD covers an area from Kookatsoon Lake to the North, Lewes Lake to the South and the Wheaton River bridge 25 km down the Annie Lake Road to the West. The beautiful Mount Lorne is on our East border. According to Stats Canada 2016 Census, the Hamlet of Mount Lorne has 219 private dwellings and a population of 437. Our response area is bigger than the Hamlet area as the southern border of the Hamlet ends at Bear Creek. Therefore, we can add to the above census numbers by quite a bit. Since about 2010, MLVFD has joined the Southern Lakes mutual aid area. This means that we can ask for and give aid to all the fire departments surrounding Whitehorse. Those departments are: City of Whitehorse, Ibex, Hootalinqua, Golden Horn, Marsh Lake, Tagish and Carcross. Through the years, the amount of times the MLVFD is called upon to respond to emergencies each year has really varied from sometimes as low as 6 calls per year, to as high as 16 calls per year. No matter how many or how few calls we get, the volunteers continue their training, as one never knows when or what the next call will be. We need to stay prepared for anything.